New Product Launch - Lotus Herbals, Safe Sun with SPF 100 - Glitter & Gorgeous!! 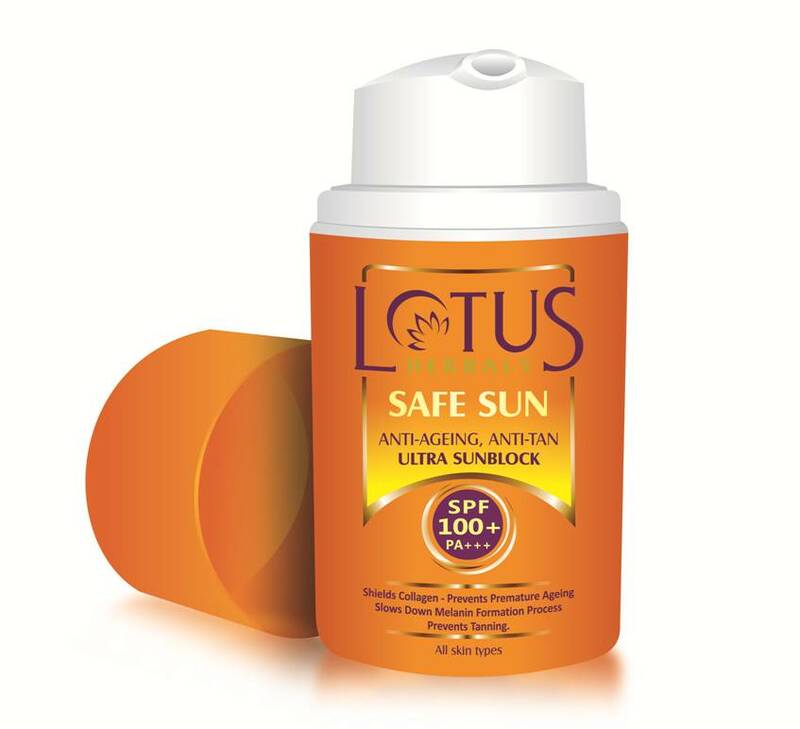 Lotus Herbals Introduces another revolutionary sunblock for strongest sun protection, ever!! WHAT DOES ANTI AGEING, ANTI TAN ULTRA SUN BLOCK DOES TO YOUR SKIN: A revolutionary formula provides ULTRA PROTECTION from UVA & UVB rays. PRE MATURE AGEING: Ultraviolet radiation (UV Rays of Sun) cause photo degradation of Collagen (A protein in Skin) which causes changes in molecular structure of skin leading to premature ageing of your skin. amount of melanin released, the darker the tan will become. and freckles and gives whitening and lightening effect to the skin. prior sun exposure. Re-apply after 2-3 hours, if required.